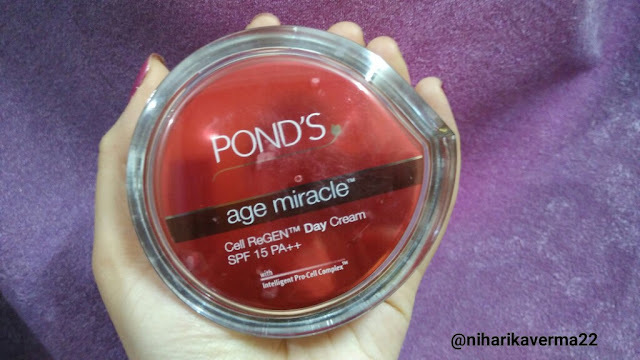 Today I am sharing reviews of an anti-aging cream by POND'S. In-fact not my reviews but My Mommy's reviews on this. The Pond's Age Miracle Day Cream will fulfil your dream of smooth and young looking skin. This anti-ageing cream works in a multitude of ways to ensure that your skin remain vibrant and youthful. This cream comes in a smooth texture that is readily absorbed through the skin and reaches deep within to provide long lasting effects. It aids the process of skin renewal, erases fine lines and wrinkles to give you a smoother skin. Its effective ingredients also remove dark spots to let you enjoy clear skin. The cream comes with SPF 15 PA to help protect your skin against harmful UV rays of the sun. Keep your skin young, feel young! You should try the Pond's Age Miracle Day Cream immediately! Fights fine lines, dullness and age spots. It helps repair and rejuvenate the skin. I searched for so many good anti-aging creams for her & really wanted to know that whether these creams works or not. Bought her so many anti-aging creams and only after the POND'S cream she said she noticed a change :D I was so happy to hear that. She has oily skin and I think this will suit any skin type because there was no stickiness or oily feeling after applying according to her. She used to apply it in morning as well as in evening after washing the face. Well I am not saying it will turn you 20 again but it will give you a healthier skin for sure. We can't fight aging but we can fight pre-mature aging. There are lot of other factors behind pre-mature aging like tension, depression, drinking plenty of tea, lack of water, not so good diet & many more. Balancing all these factors and drinking enough water can treat any problem .. any!! I will suggest you to not to change any cream or cosmetic product in between the journey. Give atleast 2 months to see whether the cream or product is working or not. It is a fact that at-least 45-60 days are required to see the change in our body. 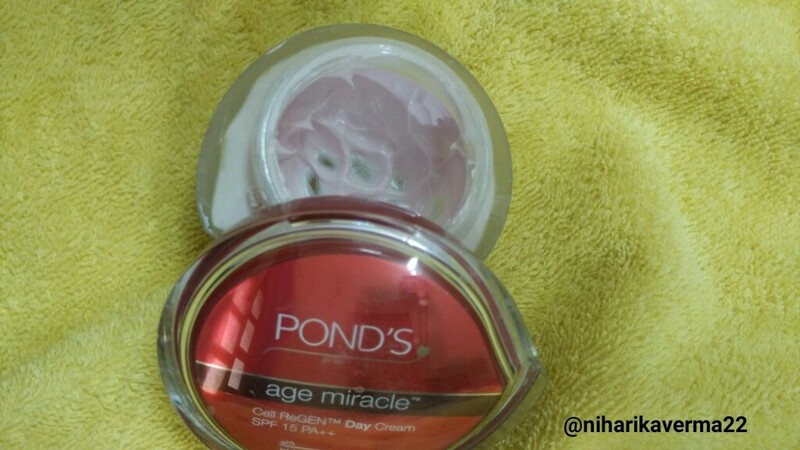 Now I am planning to buy POND'S Facewash from age miracle range for her & I hope it'll work too.